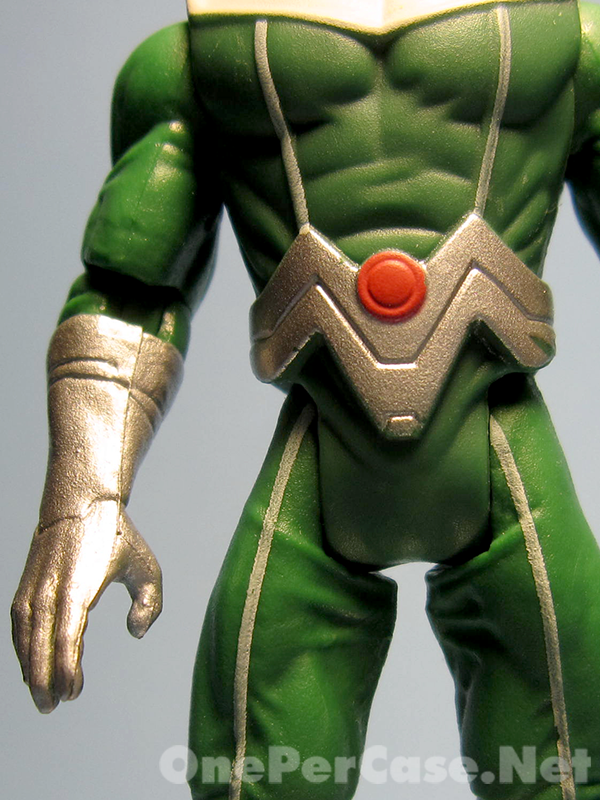 The comic-movie industrial complex seems to have become quite fond of reboots lately. 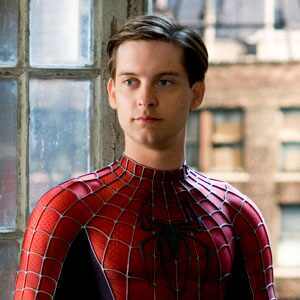 In case you haven’t heard, Tobey Maguire was not a competent enough Peter Parker, so they’re going to give it another try. I don’t want to get too much into the movies, because not only is this is a toy review, it’s a toy review of a figure from the “comic series” of the movie line. How did he turn out? Read on to find out. The Amazing Spider-Man line seems to be starting out fairly well. As you may have read in a review near you, the super pose-able Spider-Man starts the line out with a solid version of the main character, always a good thing. There is a “comic series” sub-line, which earns the line a big “+1” from me. In a comic line, bad guys are always a plus, and Doc Ock definitely fits the bill as a classic Spidey villain. The package isn’t amazing (pun fully intended), but it’s not bad. It has a large picture of the main character of the movie. The bubble insert has info about the individual character. 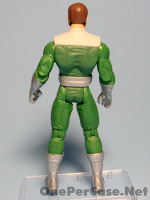 The back has a large picture of Doctor Octopus and previews of a handful of other figures in the line. In other words, it’s more or less exactly what you would expect. 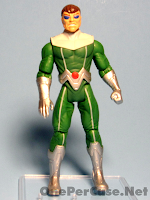 The sculpt on the figure is decent enough. The body sculpt looks like Otto Octavius’ green bodysuit, as seen in the pages of Marvel comics. 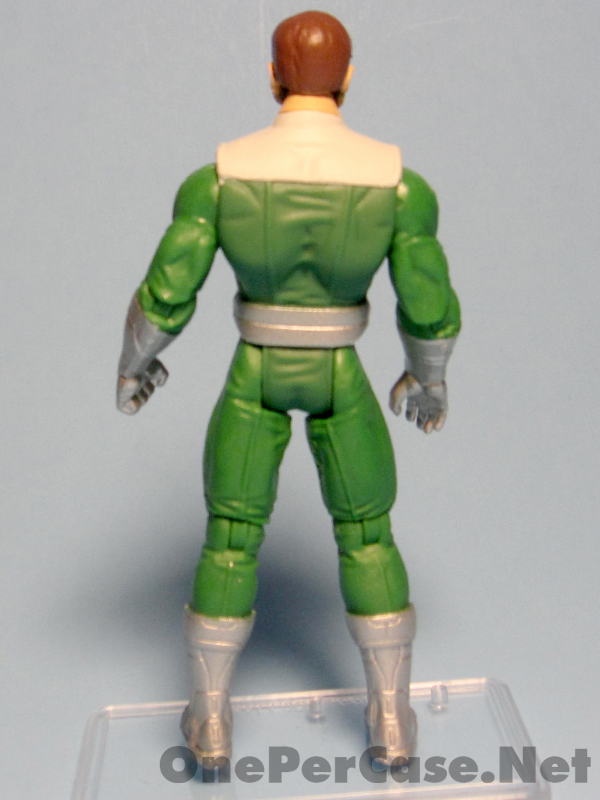 He’s a bit more muscular than I remember, but maybe Hasbro thinks kids might have less interest in a figure of a dumpy scientist. 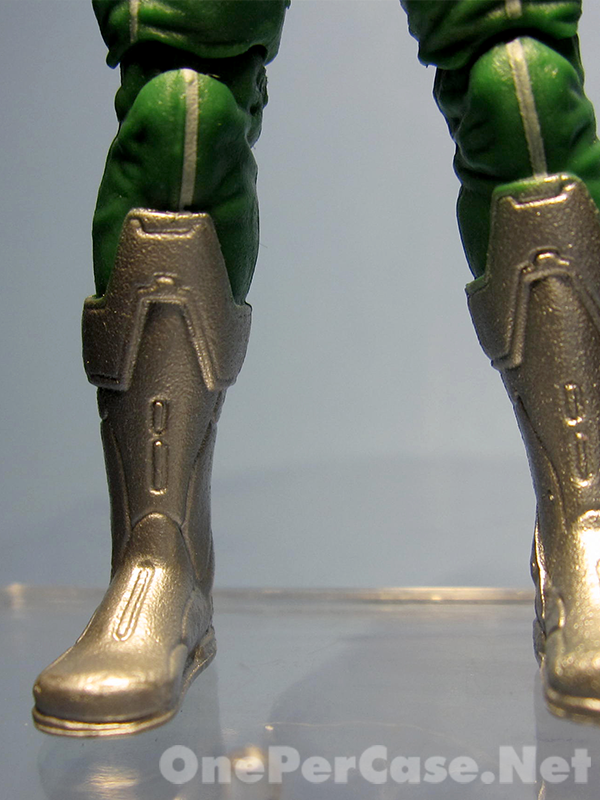 The gloves and boots have a nice shiny silver to them that actually bugged me a little at first, but then when I think of it as a “comic series” figure, it actually works pretty well. 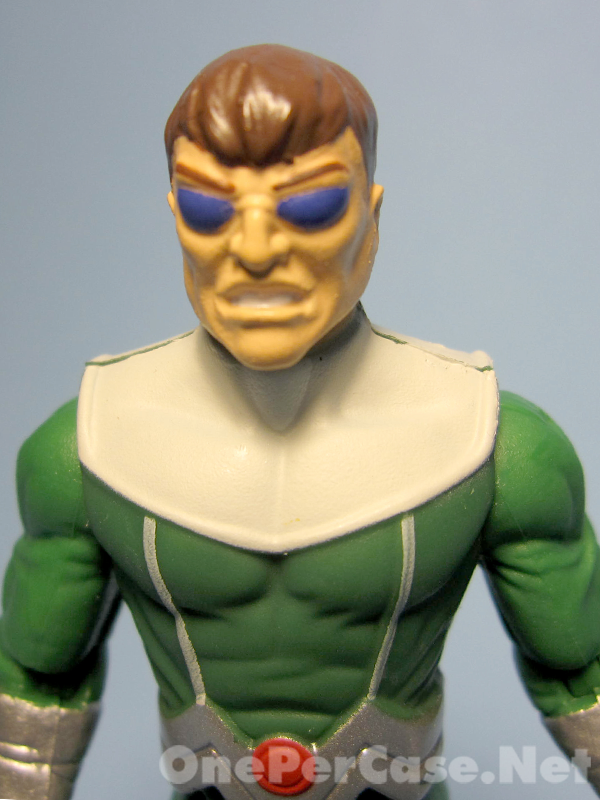 The head sculpt could be better. Really, it could. Just look at the packaging on the back where it IS better. Unfortunately, the finished product didn’t live up to the packaging model. It's not particularly bad, it's just a bit flat. 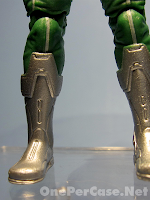 We’ve been hearing a lot from Hasbro recently about articulation being sacrificed in order to keep costs down. 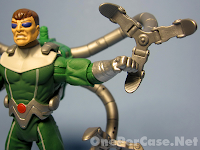 Doctor Octopus isn’t horrible, but isn’t as fully articulated as I would like. He’s got a pop on head, but no waist movement to speak of. 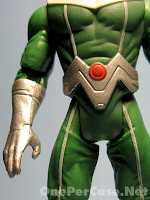 There’s no wrist or ankle articulation, but he has ball jointed knees and elbows, which almost makes up for it, but just not quite. 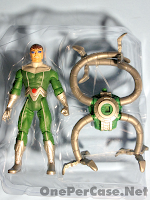 His “accessory” would be the backpack with tentacles. Oh sorry, the “power arms with attack tentacles”. Overall, they looks nice. The harness fits well on his back, and the tentacles are fairly flexible, which is great. 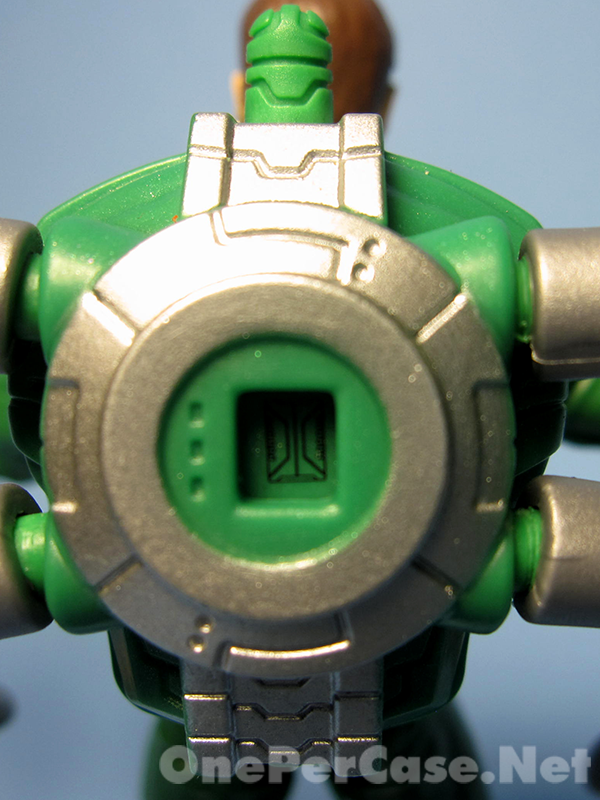 The back of the pack looks pretty cool and is fairly well detailed. I’m not particularly fond of the stumpy bottom tentacles. 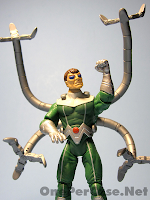 I can somewhat see why they did it, but I would have preferred even-length tentacles all around. 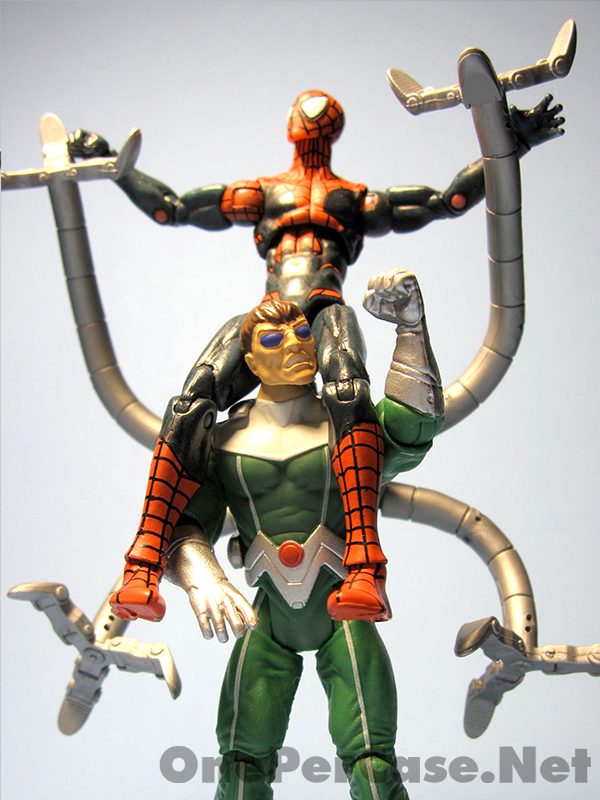 Articulated pinchers would have been great, but Hasbro seems to be going the opposite direction with articulation, so I suppose that’s more of a pipe dream at this point. The “attack” feature… pretty weak. You press the button and the tentacles flop around slightly. Something tells me Spidey can handle that ferocity. 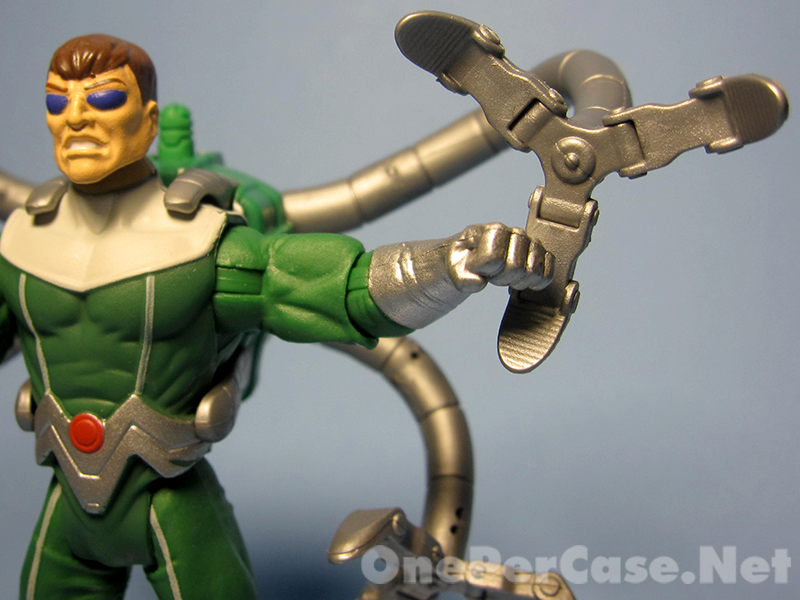 Overall, I think the main thing this figure has going for it is that it’s the only current figure in this scale of this particular version of Doc Ock. It’s not that it’s a bad version, it’s just that it’s hovering slightly on the good side of mediocre. 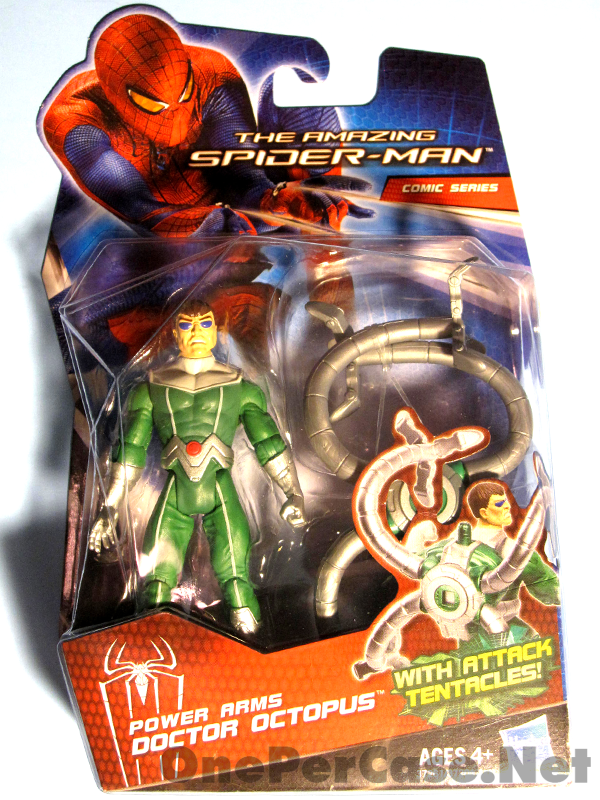 If you’re a big Spidey fan, you’ll want to pick this up as I doubt we’ll see another Doctor Octopus from Hasbro any time soon. If you’re more of a casual fan, I’d imagine this review is all the inspiration you need to pass on this one. 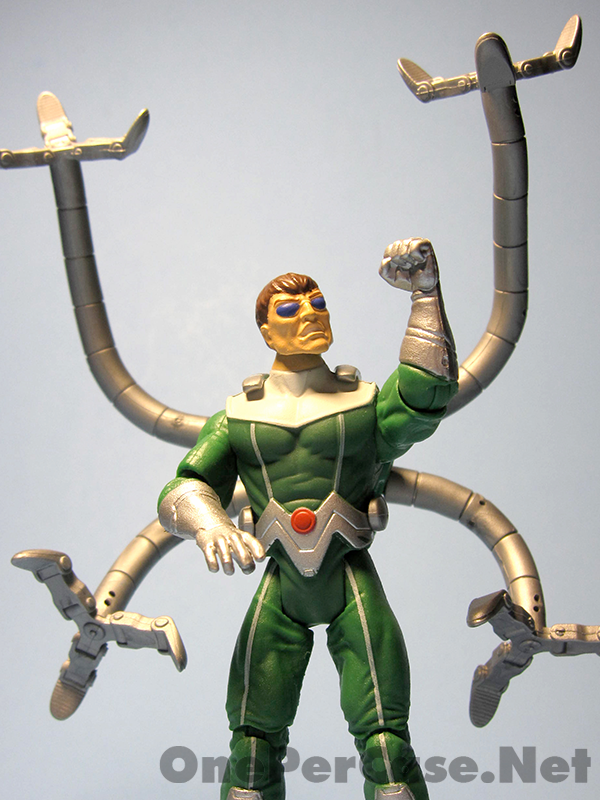 I believe that the reason he is more muscular is due to the fact that he's based on the "Ultimate" Doc Ock, which, for some reason, is buff. 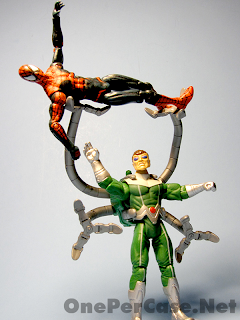 I might give this guy a chance, seeing as the Ock from Spidey's comic-based line had rediculous orange "energy" tentacles. 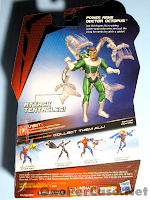 I'll admit, I'm not overly familiar with the Ultimates, so you may be on to something there. As far at the orange tentacles, I'm right with you. 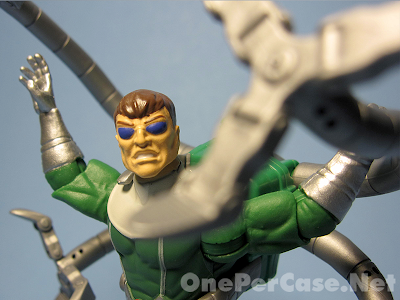 If you are itchin' for a Doc Ock, this is worth picking up. He's not bad, just could have been better. This isn't great, but it's certainly better than the last one. He's not only on to something there, but he's right. Thanks, I'm a big Utimate-verse fan. On another note, I saw him today at SMYTHS toy store, and that flat face looks like it's been punched one too many times! I'm also confused as to WHY they're mixing universes all the time! 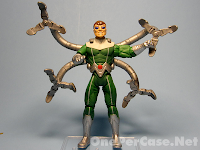 Avengers: SLJ Nick Fury, 616 Loki, Chitauri, Thanos! 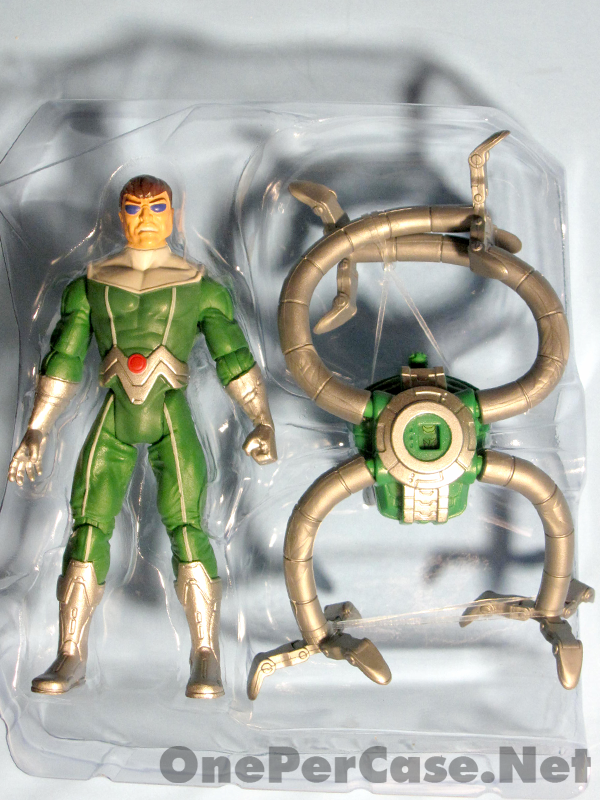 and now in the ASM toyline: Ultimate Doc Ock, and 616 Green Goblin! 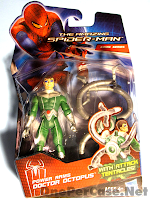 Not to mention the 6" Walmart exclusive line having Ultimate comics: Spider-man! That's not even the same person!